Sponsored post but content is all mine. My daughter is leaving for college soon, and I am excited for her but also very scared. Not in the way you think though – I’m afraid she will come back. Of course, I’m looking forward to her newfound freedom (as she calls it) and how she will handle the responsibilities. This is such a beautiful beginning for her, and I’m so proud to be her parent. Before I shove my daughter out the door, I want to give her a College Care Package to help with this transition. My daughter is my best friend so watching her leave for college is incredibly emotional for me but I’m sure I will get over it soon. My daughter loves all the comforts of home so in the care package I put in things to help decorate her dorm room plus some comforts to remind her of home. New sheets are the best, and I want her to sleep comfortably so of course, I got her the Better Homes & Gardens® 300 Thread Count sheet set, available at Walmart. Which is 100% cotton sateen, super soft and easy to clean. Keep it simple but comfortable. The sheets are available in a variety of great colors to fit any college dorm room decor. Plus the sheets are in my budget so it’s a great value for the price. I don’t mind spending a little more to get 100% cotton because microfiber traps heat. Towels are essential to buy when the kid is leaving for college because nothing beats a soft towel from Mom. Knowing my daughter, she would buy her towels from the dollar store, and I can’t have that for my child. 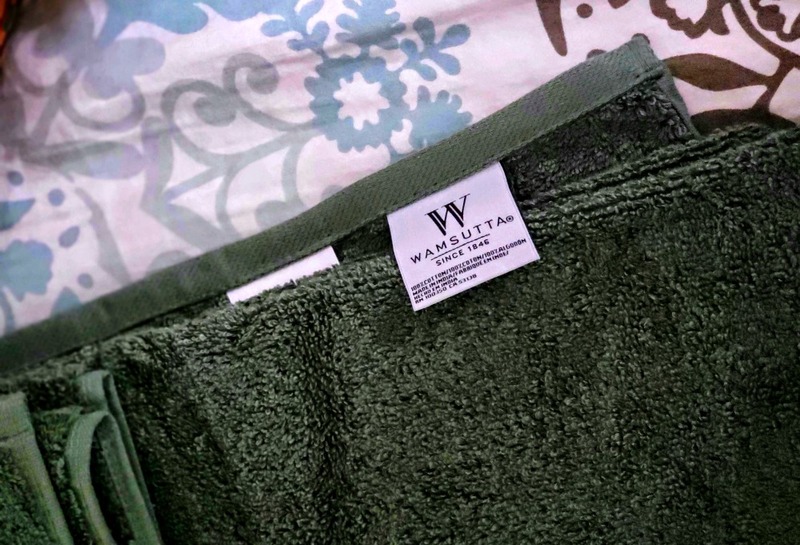 I picked up the Wamsutta® Hygro® Duet towels which are extra absorbent, incredibly soft, and get softer and fluffier wash after wash due to the proprietary HygroCotton. The towels are available in a variety of great colors plus they’re an amazing value for the price. You can find the towels at Bed Bath & Beyond. I included other comforts of home like her favorite mug, drink, notecards, notebook, colorful pens, smell goods and of course laundry detergent. Creating her leaving for college care package was fun to put together. I highly recommend gathering things here and there when you are out shopping. I got one of those trunk bags and started filling it up six months before she was leaving for college. Add in your touch but remember this is for your kid. Have fun creating your care package. Another cool thing to do for your college-bound kid is a little advice from MOM! Cleaning is not my kid’s favorite thing to do so I know she has no clue on how to keep her dorm clean. As the cool mom that I am, I made her a Dorm Room Cleaning Schedule and added some hints for her. You are more than welcome to print this out for your child too – click on picture and print. 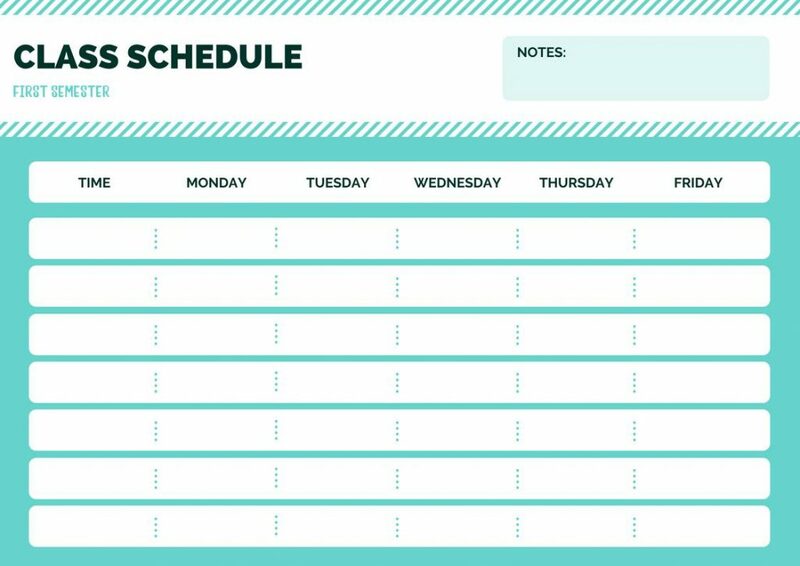 I added a class schedule printable too. 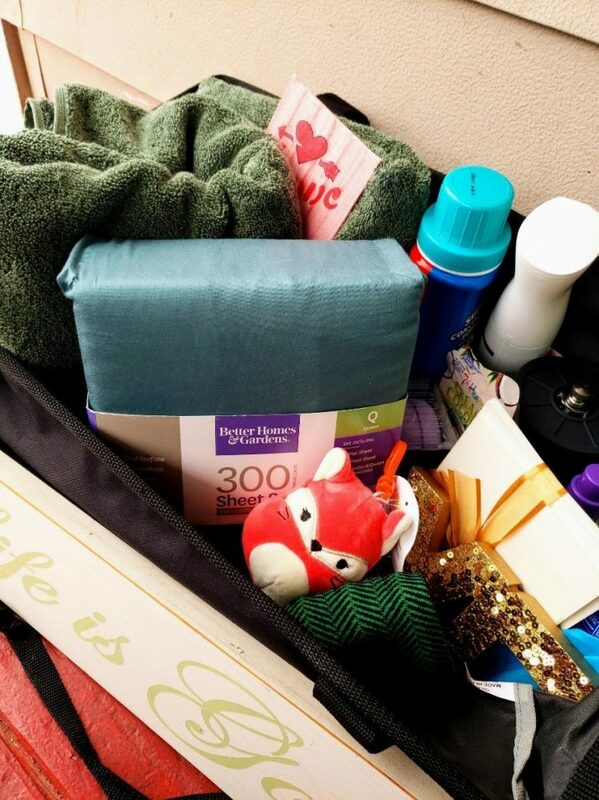 Now that I gave you some ideas for creating your own Leaving for College Care Package and these cool free printables it’s time for you to make one for your college-bound kid. 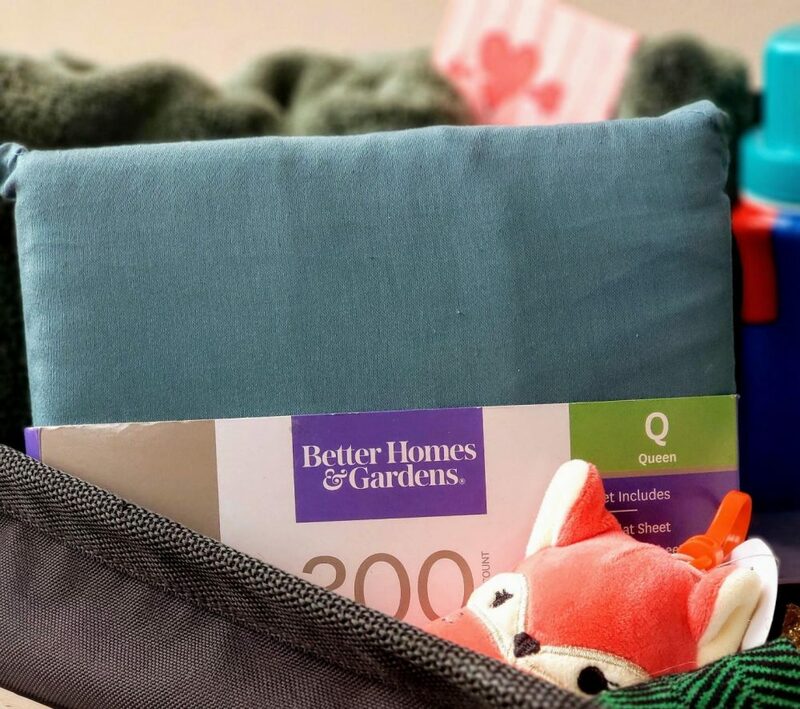 Don’t forget the Better Homes & Gardens® 300 Thread Count sheet set and the Wamsutta® Hygro® Duet towels because they do deserve some comfort from home. We would love to know what you would put in your leaving for college care package- leave a comment and let us know. That is a wonderful and so useful printable for college bound students and parents to have. I would probably have two one for them and one for me to make sure they don’t forget anything. I love the idea of a college care package. I don’t think I ever got one in college. But my parents were paying for my college, so I didn’t expect much! I like this checklist too. I shared a dorm with someone so I made sure to keep my area clean! I remember when my kids were in college. It was much harder on me than it was on them and I admit I cried when we dropped them off that first day. Including a college care package really does help tremendously. You are scaring me my daughter is starting senior year in high school and this time next year she will already be at her college. These are all great ideas for a nice sendoff. I love the idea of the college care package. When my daughter was at Stephens College, we used to put together food boxes for her hall. The girls loved it! This is a great gift idea. These are such useful items for any college student. Our daughter started college last year but decided to live at home, which makes things a lot easier. This will be me next year! I have a high school senior…sigh… so this will come in handy for us. Thanks! I love your ideas for helping your daughter pack for college. 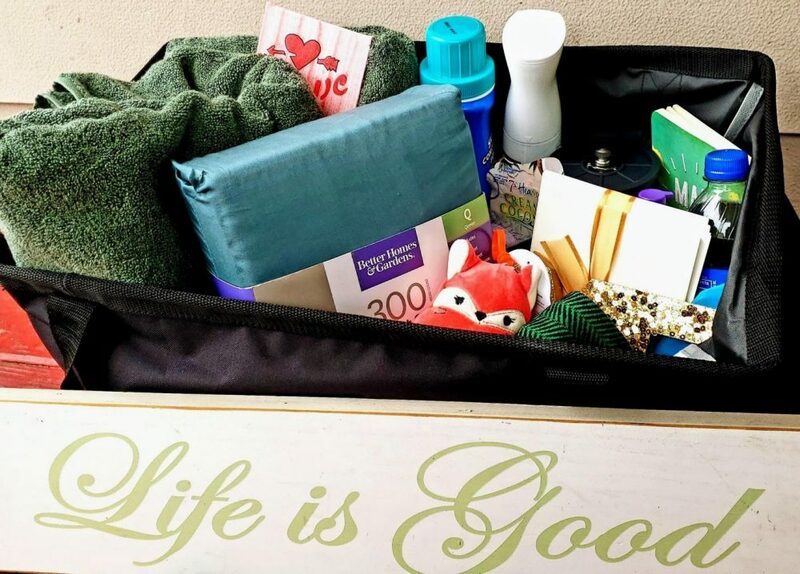 This care package is such a cute thing to help her feel loved and comfortable while away from home.
. I am a few years away from having to deal with pulling together one but I like yours. I do not think the printables while useful are for my daughter. Such an awesome collection of essentials! Sending a child off to college is tough but knowing they’re properly prepared definitely eases some worry. Looks like your daughter is all set and ready to start a terrific year at college. Nothing like starting out clean and organized to set them up for success. 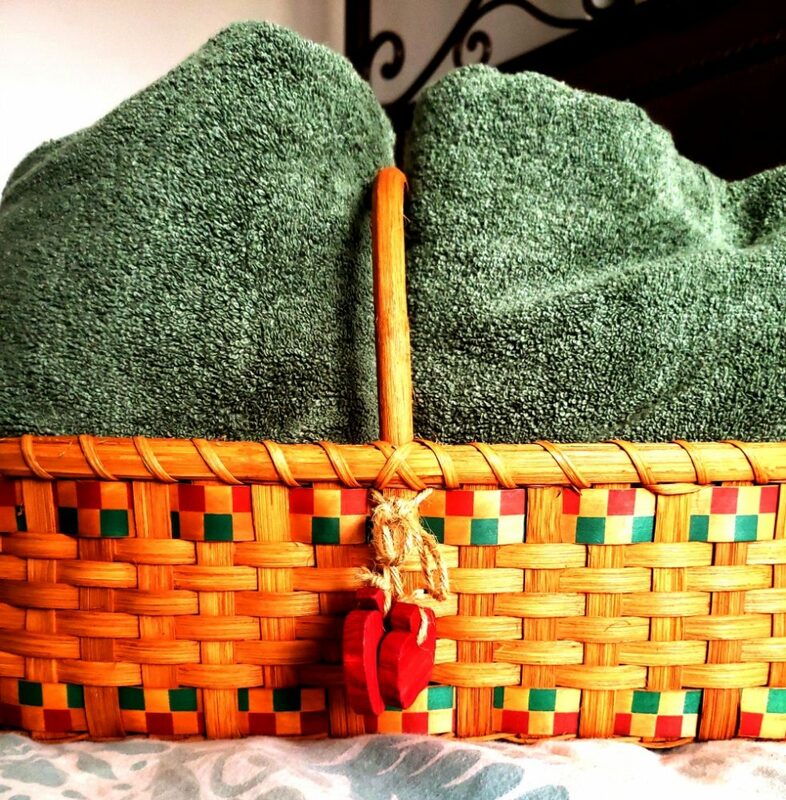 I love this idea and think that any college kid would appreciate clean, new towels and 300 thread count sheets. I also like that you included pens and notecards (hint, write to mom), and made her a dorm cleaning checklist. Very clever. Ugh, I can only imagine how bittersweet it is to have your child go off to college! My oldest is only 10, so I know I have a while to go, but it will go by in a blink. I love the idea of a care package! I’ve got to be thinking of this in a couple of years. I’m already looking for ideas and suggestions so when the time comes, I’ll have everything they can use in the care package. I love everything you’ve included. Care packages for college kids are always bittersweet. This is one of the best packs I have ever seen! Reading your post makes my heart skip a bit faster. I feel like time fly so fast that my first born is almost there. This is a great college care package!! And especially one with sheets, I would never think to send those! I love how organized this is. It’s good to have a checklist for the kids so they won’t miss anything. A cleaning schedule would be nice as well. 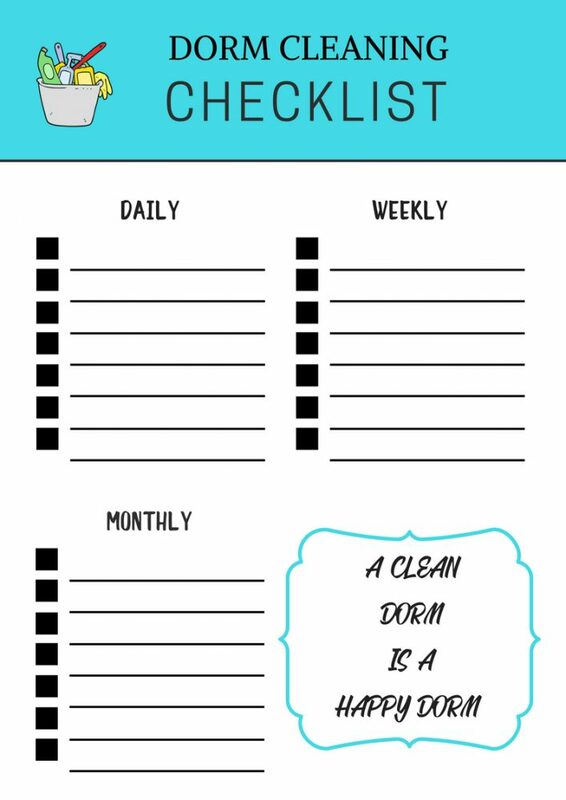 Wow, I love that dorm checklist idea. Indeed such a great help so that you wont forget any. I remember back then, my mom was the only one who packed my things that I will bring to my new dorm. Time flies so fast! Great ideas. Thanks for sharing. My son isn’t going off to college but I really liked these ideas.